A failed candidate for the U.S. Senate contemplates his loss the night after the election. Afterward was originally produced at Drew University in Madison, New Jersey, along with Harold Pinter's "Victoria Station." It was later named the 2012 winner of the Arts & Letters Prize for Drama. A redneck from Boondocks County, Alabama recounts his experiences being abducted by aliens and saving the Earth from destruction in an intergalactic war. All I've Seen was originally performed by the author at the Northwest Florida Young Playwrights Society's second annual one-act festival. A brother and sister head west on a roadtrip to visit the Grand Canyon when their car breaks down in an Arizona desert. Stranded, the two must confront pain, anger, and confusion as they search for meaning in their lives. 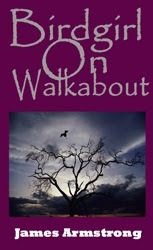 Birdgirl on Walkabout is published by Norman Maine Publishing. Harry's having a bad day. We're not just talking Elvis in a peanut butter shortage, I mean a really, really bad day. After missing his own daughter's graduation, he ends up with his best friend at a local tavern, trying to make sense out of his life. If he could only get that cute waitress to say one word to him, he might just go home happy. Or, he might not. A bittersweet play about last dances and second chances. Dancing With Harry was developed in staged readings at Playwrights Theatre of New Jersey and New Jersey Rep. It had its premiere at Farleigh Dickinson University. Three high school friends hang out in a graveyard on a Sunday night -- their last night of summer freedom before school starts up the next day. As they drink beer and complain about teachers, they suddenly realize that they are not alone. A mysterious stranger appears and turns everything upside-down in one night they will never forget. Last Night of Nothing was originally produced at Gettysburg College in Pennsylvania. Six teen-age friends hop into a car on a Friday night, determined to have a blast, and perhaps rekindle their fading relationships. But with high school over and the future beckoning, nothing can remain quite the same. Lynn and Bert discover their attraction for each other may not be enough to keep them together. Jay finds that the hometown he loves will never offer enough for him. Kate discovers that her friends may care more for her than she knows. Carl tries desperately to relive days that never were. And Monique, always the center of everything, discovers that the world she once knew may be gone forever. Each learns a bit about life and love, holding onto things and letting things go, on the zany road to the town of Chumuckla. Two car seats or benches form the entire set of this highly theatrical play that uses the audience's imagination to carry them on a funny, crazy, sometimes painful journey through dirt roads and broken dreams. Muddin' in Chumuckla is published by Eldridge Plays and Musicals. On the eve of All Hallows, 1793, three authors of Gothic fiction come to the Castle of Falconara in response to a mysterious letter. As their host has warned them, each has a dark secret capable of destroying everything. Their secrets, however, are not what they think, and the writers end up battling the personal nightmares that haunt their fiction. The Mysteries of the Castle of the Monk of Falconara premiered at the Spotlight On Halloween Festival in New York City. It is included in the anthology The Best American Short Plays: 2005-2006 published by Applause. Sam Jones has a problem. Every time he meets a nice girl, things go well at first. Then he brings her home to meet the family and it's murder -- literally. Mrs. Jones has the annoying habit of killing off her son's girlfriends. Now Sam has met the woman of his dreams, his strong-willed fiancee, Elizabeth. Before they can live happily ever after, he'll have to get her to survive a dinner party with Mother, without Elizabeth ending up as the main course. The New Mrs. Jones is available from Brooklyn Publishers. Passing Through the Sanitarium was originally produced at Drew University in Madison, New Jersey. 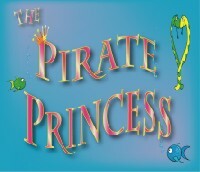 The Pirate Princess is published by Eldridge Plays and Musicals. A year after his father's death, Chris Fallow must return to his hometown for a memorial mass arranged by his ailing mother. Raised in a strict but hypocritical Catholic household, Chris must confront the sins of the past while struggling to find the faith he once had. Searching for Saint Anthony was named a finalist in the Samuel French 2003 Off-Off Broadway Short Play Festival. Friday night, two of the longtime patron's of Phil's bar, Marty and Trisha, drank, and talked, and danced, and went home... together. Now it's Saturday night, the gang's all here, and everyone knows exactly what happened last night. Or do they? Nothing is quite the way it first appears, and when Marty and Trisha collide a second time at Phil's bar, it will truly be a sight to see. Sight to See was developed at New Jersey Repertory Company and premiered at Farleigh Dickinson University. Decades ago, the famous poet Margaret Katherine Shaw hanged herself in her house. Now, Diane Erwin, another poet, is staying in the same house for a week. But Diane has her own demons to wrestle with. In the midst of her depression, she stumbles upon an aging horse trainer with a mysterious secret. Gradually, she unravels the past and discovers the truth about Margaret Katherine Shaw -- and herself. To a Steed was published in the Fall 2007 issue of Arts & Letters. Trying to balance work with his personal life, a young businessman receives an unexpected visit from a mysterious stranger who seems to hold the keys to his financial success. Torn, he must decide between a woman he loves and the siren song of wealth. A monologue from Wall Street Hymn is included in Audition Arsenal for Men in Their 30s published by Smith and Kraus.